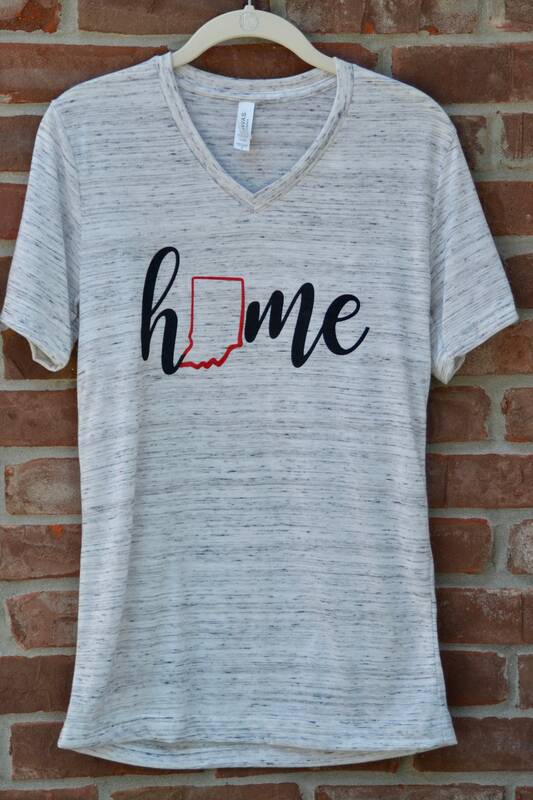 Our popular Indiana Home design is now available in a short-sleeved v-neck tee! 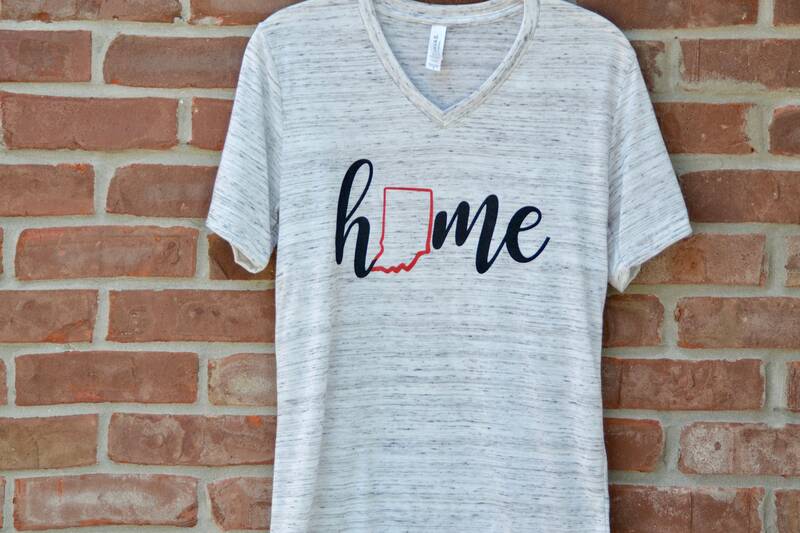 This super soft tee will quickly become your favorite! Note the fabric has a washed-out look. It is not transparent, but you can definitely see dark colors worn under it. 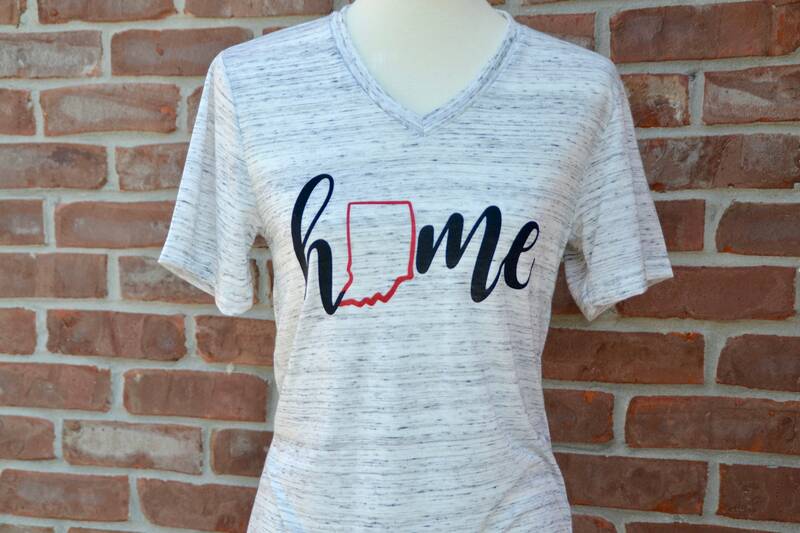 We manually screen print this original design in red and black ink on the super soft Bella + Canvas jersey cut v-neck tee in white marble. Fabric and sizing details provided in the last photo. 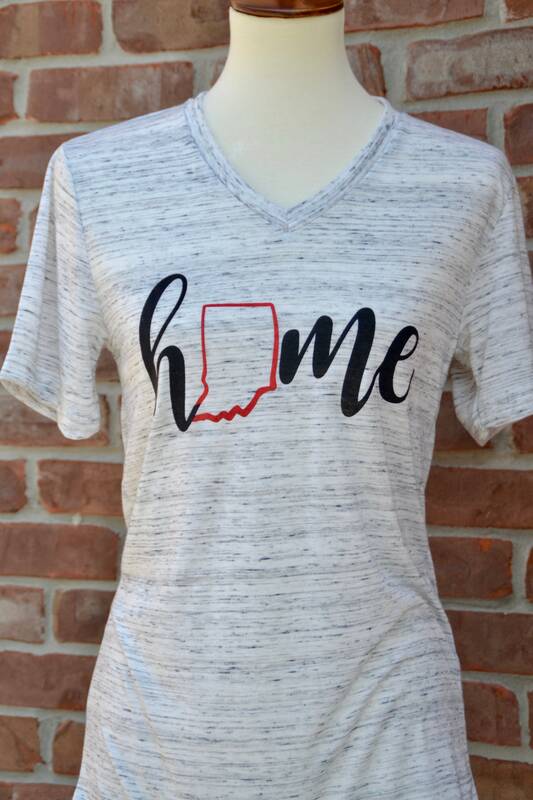 We also offer this tee on a 3/4 sleeve raglan tee in a separate listing!